Made by kerravonsen. 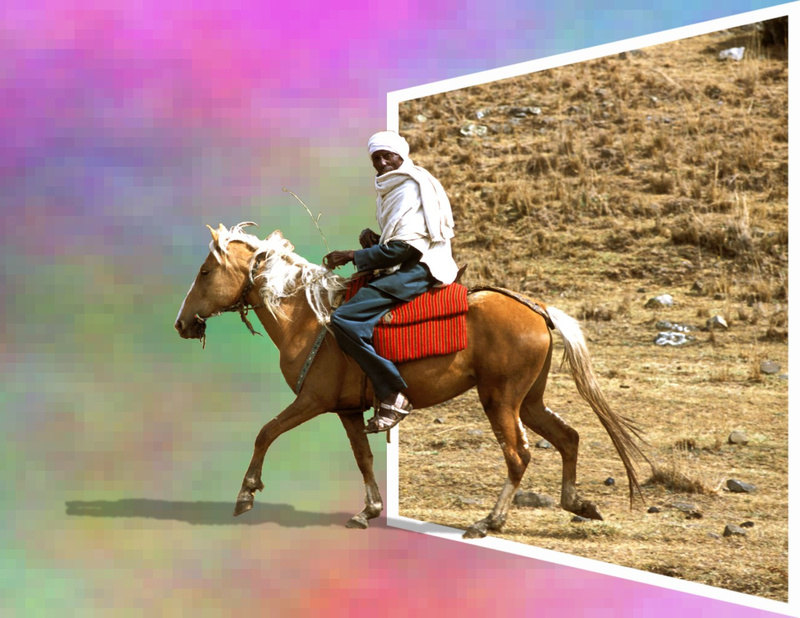 A man riding out of a picture into the weird unknown. Done by following a tutorial on penguinpetes.com.